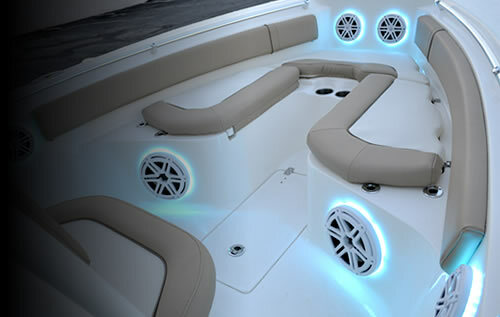 Elite Audio provides Marine Audio solutions for boats and watercraft, including marine stereo systems, marine subwoofers, marine speakers, marine amplifiers, and marine LED accent lighting systems in Spartanburg, Greenville and Upstate, SC. Take your favorite tunes on the water without being afraid of getting your equipment wet or ruining your investment. A Marine Audio System from Elite Audio is custom engineered and built to withstand the rigors of all-weather performance, with marine subwoofers, marine amplifiers and marine speakers available from the leading manufacturers of professional marine audio equipment. You can have a complete audio system for your boat or pontoon that is designed to deliver superior sound quality and keep the party groovin' and making waves for years to come. Elite Audio also installs custom lighting systems for your boat, available in any color, style or location to suit your personal style. The big bass from a marine subwoofer is crucial if you want your system to sound great over the noise of the wind and water. These marine subwoofers are made to hold up in harsh marine environments. Some subwoofers from Elite Audio are known to make their own wake! 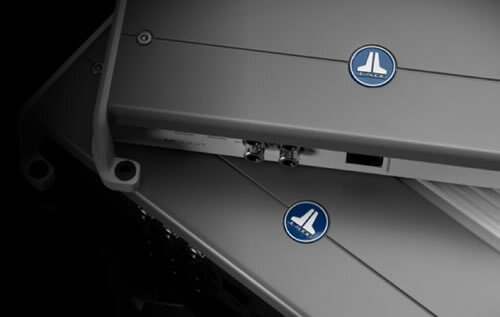 Marine Amplifiers perform reliably in your boat's tough environment, so you can enjoy the power of your music out on the water. With these water-resistant designs it's a must for a marine amplified system. 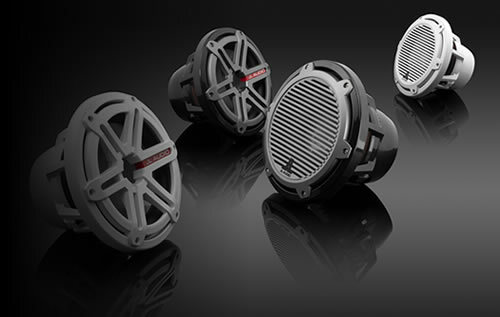 Elite Audio offers a wide variety of full range water-resistant speakers for your boat or pontoon. Our selection in our coax, components and Tower speakers can meet most any demand and perform in the toughest of environments. 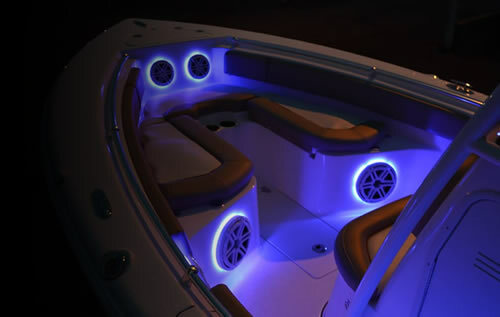 Elite Audio can install custom lighting systems on your boat, in any color or location you choose. From backlit speakers, to LED strip lighting, overhead lighting, or anything you can imagine, we can give your boat a new look that reflects your own personal style.